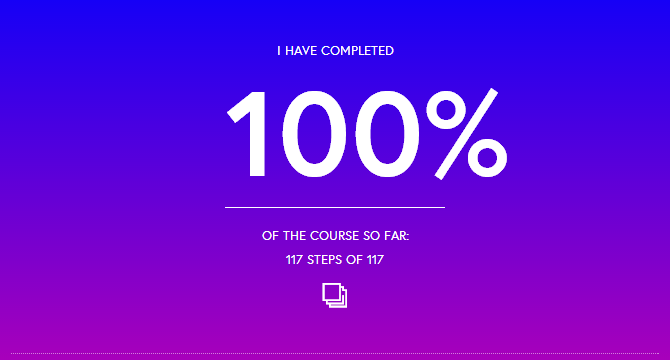 Tonight I completed the 8 week Start Writing Fiction course over at futurelearn.com. It’s been a fun and rewarding course. Though it’s aimed primarily at new writers, even for more experienced writers it offers something valuable: a reason to write regularly. Each week you’re given assignments and this alone has been fantastic – I’ve been more productive since the course began than I have been for a while. So, time to share the final bits and pieces I created for the course. A big part of week 6 was character detail. For this I created a profile for a new character called Jonathan Quick. I say ‘new’, but Quick is actually an ephemeral character that has been buzzing around as a concept for a while. He’s actually the protagonist in Millennium Surfing, the big short story I’ve been working on for a few months, and he’s also the invisible hand behind the creation of the island in Wikimoku. Basically, he’s my Hari Seldon. The greyed hair belied his age, only 43. Of course, the billionaire status and being CEO of the largest corporation on the planet also contributed to him being a little unusual. He wasn’t especially tall, nor terribly short, and in another life would have blended in with everybody else, lived a mostly happy if unremarkable life, and been remembered by a few friends and family. Instead, he was born in 1971, and that changed everything. Strolling, one side to another. Years of public speaking training, press training, posture and gait adjustments. Not to make him look special, but to make him effortless, such that anybody would watch and engage and understand. Nobody would feel intimidated or underwhelmed or anything in-between by the most powerful man on the planet. The hall was designed to amplify a speaker’s voice but on this occasion it did so as a cathedral booms out the word of God. The echo rippled down wires and cables, spreading out from Vancouver in all directions, across land, breaking through the Pacific Rim, firing up into space and jumping from satellite to satellite. It’s never enough. I’m adamant that this is the last time, as I have insisted before, knowing already that I’m lying to myself. There’s always so much more to see, even after such abject disappointment. Even after drifting so far from my original purpose. She’s already breaking orbit, taking us away from Earth towards a stable, secure trajectory. One that will bear us on our way for as long as required, accelerating close to FTL until such time as I choose to return once more. I began at the closing of the 21st. Some dates have slipped from memory but that one I always recall without pause. The excitement of that first voyage, Earth to one side out the viewports as stars peeled around on the opposite, the ship auto-calibrating its course. I had nothing to do besides input a destination date, within certain parameters. In the beginning the ship was limited, only capable of dragging itself through constant acceleration towards the speed of light, closing in on Einstein’s barrier but always so far from it. I was never really a scientist. Other people designed and built the ship. I just hit the gas and waited. It always had been that way. A visionary, some called me. Others called me a threat. To manufacturing, to employment, to competition, to taxes, to privacy. On occasions I was a champion. Of innovation, business, communication, technology, of freedom. They could never quite decide. They’d gathered together early tonight. Two dozen people, men and women, huddled together in common cause, secreted away in the basement beneath remains of the Whalebone pub. They were each of them at least twenty-five, a few considerably older. The basement was lit by a handful of unshielded bulbs, dangling down from the ceiling on ancient cables. No smartbulbs down here. His name was Robert Thomas. He’d been born in 2014 in the British city of Newcastle to what politicians used to call an Ordinary Family. School was a mixed bag, as he was never much of an academic but did love to run a pitch with a ball tucked under his arm. Touted for big things, at one point, until a car accident ripped out a few tendons when he was seventeen and ended that particular career before it had even begun. Outside, the air was hot and close. The air felt thicker these days. They split into smaller groups, dispersing out into the city, weapons concealed beneath unlikely coats and in sports bags. Robert led four others towards the high street, where they’d find the small cluster of corporations that decided who got to buy what, when, and how. This city hadn’t enjoyed the independent ownership renaissance like those further south, instead finding itself squeezed ever more tightly by the hegemonic grip of the supernationals. The pavements were spotless, as always. Cars rolled efficiently and silently past them while shoppers oohed and aahed at displays and chattered mindlessly to each other. Shopping was a cultural thing, there being no actual reason to physically attend a store when almost everything could be droned to you within half an hour. If somebody was out shopping, it was because they wanted to be seen. Which meant that they weren’t exactly blending in, what with their trenchcoats and general lack of makeup and designer clothing and ridiculous accessory dogs. Robert entered a clothing store calling itself Boutique which was, of course, massive, stretching up five floors with a curving, exquisitely printed staircase winding its way up. There was more stairwell than actual floor space for stock. The etched glass front doors were flanked by tall, silver pillars, silently scanning each customer as they left in order to automatically charge their account. No employees in sight. Of course. “My father was a taxi driver,” Robert said, raising his voice just a little. He’d always had a voice that carried far, with a deep, reverberating bass that cut through everybody else in a room and caught people’s attention. Unslung from its hiding place, the baseball bat was held aloft for a dramatic moment, then Robert brought it down on one of the scanners, splintering plastic and crunching down through circuitry. He withdrew the bat then swung it sideways, sending the scanner spinning across the shop floor, accompanied by surprised cries from shoppers. Two steps to his left was the enormous window looking out to the street. He raised the bat to his shoulder and whipped it forwards, cracking the glass. Another swing and the crack spread wider but still the glass did not shatter. He swung again. More cracks, but the window held. Robert stared at the window. Later that night, when he thought back, he couldn’t recall for how long he’d stood there. It could have been momentary or twenty minutes, baseball bat limp at his side, for all he could remember. “Jobs for humans!” shouted Liz, a dark haired woman in her early thirties, snapping him from his reverie. She’d trained to be a airline pilot, back when they still used pilots. She gripped his shoulder and he turned to find her eyes, red with anger and vivid purpose. She darted out into the street to find her next target. He strode out of the clothes store just as a car pulled up at the curb to collect one of the terrified customers. It sat there, patiently waiting for its passenger to get close. There was a noise from the store and running, faltering footsteps as a woman in an expensive, long, pink dress and impractical heels stumbled out, clutching at a bag and doing her best to ignore them. “Robot whore!” shouted David – he’d trained to be a journalist – as the woman tottered past. He shifted his cricket bat from one hand to another and the woman flinched. David looked over at Robert. The cab slid open its side door to accept the woman. Robert moved forwards and leaned in, holding the door with one arm. “Thank you, thank you,” she repeated senselessly. “I didn’t say anything about your ride,” Robert said, releasing the door then stepping around the front of the vehicle. He laid into the front, smashing the lights, battering the bonnet until it was a concave V, stabbing the nail-encrusted bat into the tyres over and over again, then moving around the side and destroying the doors, smashing the shatter-proof windows, knocking the taxi sign from the roof and systematically deconstructing it where it lay on the floor. Robert attacked the car, revenge seeping out of his aching muscles, the blood of his father and his father’s father leaking from his knuckles. There was a low electronic hum and the crunch of tyres on asphalt. An identical car pulled up alongside the first. It’s door slid open. The woman kicked out the remains of the far door and staggered into the gleaming replacement. As the door slid shut Robert glimpsed the woman’s face for a moment, full of accusation and pity and despicable loathing. With a barely audible whirring the car moved off. Robert wandered out into the street and watched it go, accelerating down the street before turning at a junction and disappearing from his sight. And that just about wraps up the Start Writing Fiction course. I highly recommend it to other writers, especially if you need some inspiration, discipline or are just starting out. I’m doing another Future Learn course at the end of the July all about presentation skills, so that’ll be an interesting change of pace. Then in October I’m going to give the computer programming course a go. Really loving all these free educational resources. I came onto the course as an inexperienced writer with very little confidence, but I feel like I’ve improved a lot throughout the weeks. Having the encouragement to keep writing week in, week out really helps. I really like your writing style by the way. Thank you, wallcat! The course was really well structured for simply getting people writing – that’s why it works well for new and experienced (but lazy!) writers.